You are Here: Home > 1st Day of Art Class & 2nd Grade & 3rd Grade & 4th Grade & 5th Grade & 6th Grade & AP Studio Art (Advanced HS Art) & Art Classroom Management & Art Games & Art Lessons & Elementary Art & Featured & HS Art & K-1st Grade & MS Art > First Week of School – Start the Year with a BANG! Start the Year with a B.A.N.G! Anyone who teaches knows how important the first day and first week of school is – no matter what subject you teach! 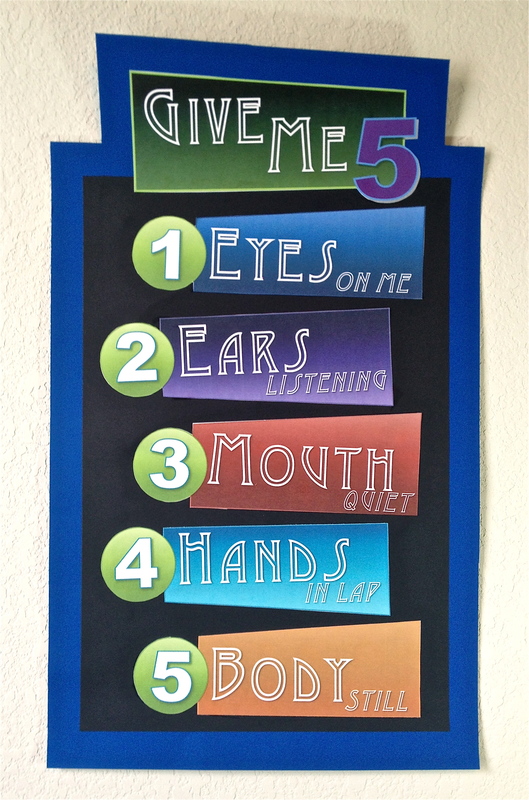 It is VITAL that students begin to understand and practice art classroom rules, procedures-like Art Jobs, Give Me 5, End of Class Tasks and Voice-O-Meter, and begin to set goals. Skipping these important items will lead to management failures in your classroom. Your students must understand the boundaries and expectations in your classroom and YOU must be the one to tell them what is expected of them from the very start of the year. Teaching and reviewing these important items doesn’t have to be bland and boring-make learning about the art room procedures fun with engaging activities! Start the year with a BANG! BOOST engagement with fun activities! Infuse important classroom management with art and other fun activities to make teaching procedures much more engaging! 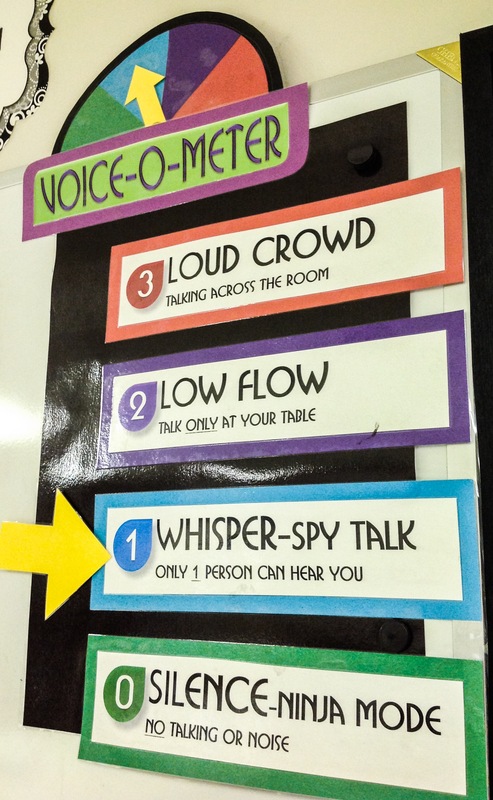 I love this idea from Diary of a Not so Wimpy Teacher’s post Fun Ways to Practice Classroom Procedures. This is great for elementary students! Freebie from ME– Art Classroom Procedures and Rules Game Cards and Truth or False Statements (editable). While using technology is fun and good, you don’t need any fancy computer game board or pre-made board game to review the rules and procedures-keep it simple. Place two large pieces of paper on a board or divide a white board into two halves. The idea is that each team will add to their teams drawing each time they get an answer right. Divide the class into 2 teams. Give one team a question to answer. If they answer correctly, they get to add something to the drawing. The drawings are complete when you run out of questions. **Another idea to go along with this concept would be to give the bag of supplies, but the students make a poster or sign of one of the procedures or rules. Divide the class into 2 groups. Use two existing posters of a famous paintings or make a poster with an art quote or encouraging statement on it. Tape or use sticky tack to attach 6-8 pieces of construction paper over each poster (depending on how many procedures or rules you want to review). Play true or false with the classroom procedure statements (EX: The Art Curator’s job is to pick up scraps of paper off the floor at the end of class-False). As each team guesses correctly, they get to remove one of the pieces of the poster. First team to reveal the whole poster wins an extra Picasso Pass. The Picasso Pass is like GOLD to the students!! AFFIRM your students! Create a positive environment for learning and practicing new skills! From day one, let them know that you believe in them, that you are there to help them succeed, and that they have potential to do great things. Artists are C.R.E.A.T.I.V.E. Poster. Building a positive relationship with your students begins as they first meet you. 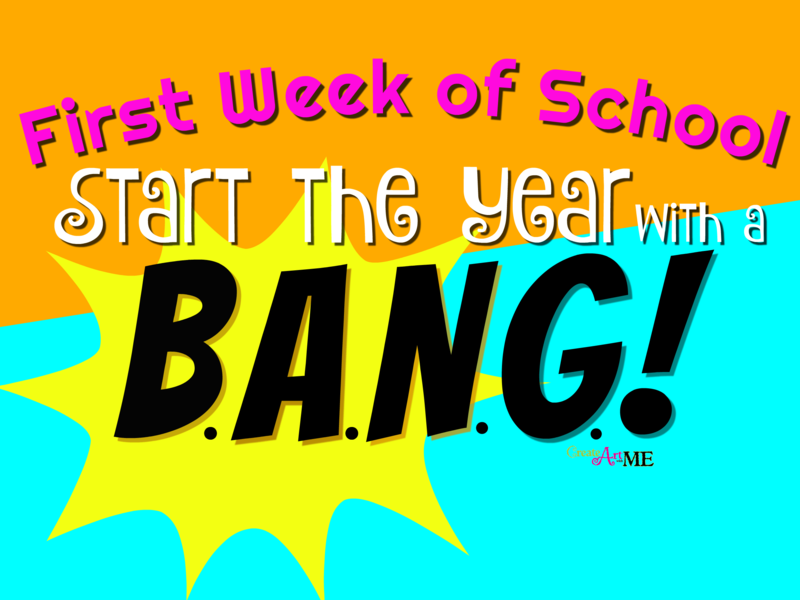 Start on the first day-greet them as they come in! Begin to learn their names. I like them to write their names on the front of their papers on the first day so I can see it and then verbally encourage their artwork saying something like “Johnny, you have used color in such an interesting way“. Saying their names out-loud after I read it helps me to memorize their names. Yes, I know we all have a gazillion kids, but they need to know you think each one is important and valued in your classroom. It is also a time for students to begin to grow positive relationships with their peers. Start off with some icebreakers for the students to get to know each other. As a result, you will begin to develop of a feeling of family with your classes. TAG is another GREAT collaborative art game that builds creativity and togetherness. NURTURE a Positive Classroom Environment: Establish a positive attitude in the classroom and squash negative comments and attitudes immediately. A positive classroom is more than verbal interaction or just a feeling, it is also has to do with the physical space and arrangement of the room. Design your room to flow smoothly. Think about placement of supplies, sinks, drying racks, art storage, etc. How will the students access all these things with minimal disruption to the students around them. For example, what direction should students walk in order to do put away their artwork? You don’t want students bumping into each other because the flow of the space was not planned out appropriately. When students know the procedures and follow them it leads to a positive classroom environment. Marvin Bartel has an excellent article on setting up an art room: “Art Classroom Design”. GOALS: Set goals with your students and help them track their growth. Where are they now, where do you want them to be by the end of the term, semester and year! Goals should be age appropriate and clearly measurable, they should be designed to be SMART. The Art of Ed has a great article on setting goals in the art classroom called “Why Helping Students Set Personal Goals is a Must Do” and downloadable worksheet! It is helpful for students to have a tool to see how their daily experiences lead them to a bigger, overarching goal. Giving them specific feedback on their artwork can be directly impactful in helping students meet their goals by discussing where they might need to improve and what they are excelling at. Discussing learning goals for projects or TAB stations also helps them identify what skills you are teaching and expect them to learn. Improve the ability to verbalize and write intelligently about pieces of art using art vocabulary and knowledge of art history. Growth in specific art medium techniques: charcoal, graphite, pastel, painting, sculpture, ceramics, printmaking, photography, mosaics, etc. Growth in use of color theory, composition, observational drawing, perspective and portraiture. Be able to identify periods in art history with major artists and art styles. Develop a body of work that shows artistic growth. Identify elements and principles of art in your own work and the work of others. Develop your own style and write or verbalize your art statement. Therefore, whether you are a new teacher or veteran teacher, beginning the year starts the same way-With a plan! Remember to start the year off right with a BANG: Boost, Affirm, Nurture, & Goals.